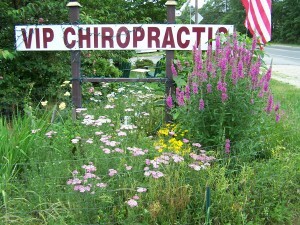 At VIP Chiropractic Dr. Mark Lynch DC we have been helping people for 24 years be healthy. In some families we are on our 2nd and 3rd generation of family members. Its great to be of help for families in good times and bad. 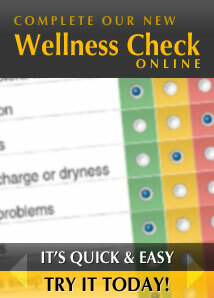 We specialize in Migraines, low back pain, and stress reduction management or self help skills. 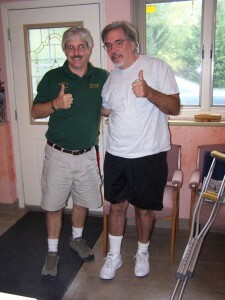 Even local Chiropractors go to VIP Chiropractic for health care because they can’t adjust themselves! And they want to be as healthy as they can be because they work hard and want to have a good life! Also the modern gentle treatments performed along with laser and kinisiotaping helps relieve pain quickly, easily and cheaper on the pocketbook. VIP Chiropractic Health Center is an office dedicated to providing non-surgical solutions for pain and other chronic problems. Our office prides itself in giving our patients the personal and individual attention that they deserve. We are not a “treatment mill,” and our patients like the fact that they are getting the specialized, personalized care they need. In addition to cutting edge treatment of musculoskeletal problems like pain, numbness, headaches, sports injuries, and car accidents, we also offer alternative treatments for many other health problems. We offer natural solutions to food allergies, seasonal allergies, stress reduction, asthma, and many chronic health problems. “Your Health is your wealth” Jack Lalanne.